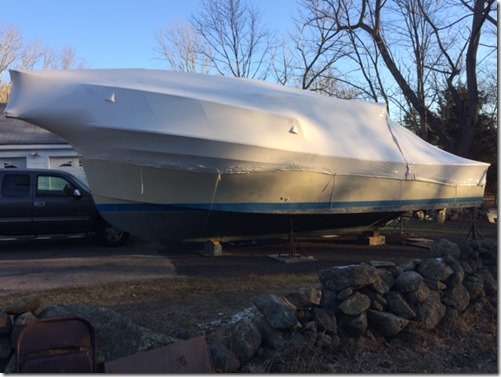 The Aces Wild is at home in dry dock. 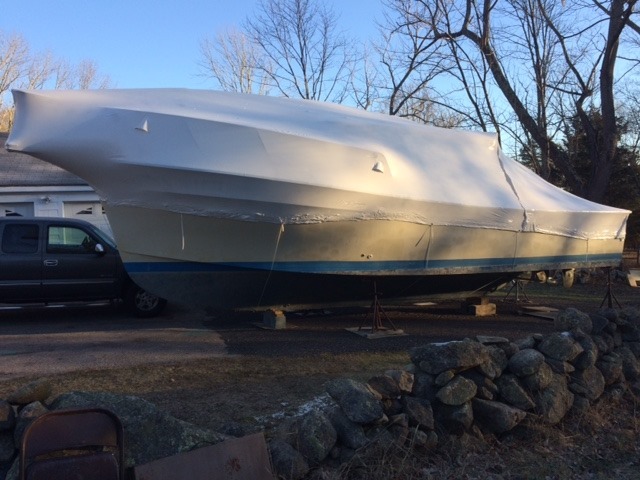 She has been wrapped for the winter and is nice and cozy. There is a small door in the wrap that allows me to do all the maintenance needed for the upcoming season. If you are interested in tarikhema a charter, please do so as early as possible as all the weekends are booked early. The Aces Wild will return to the water the second week in May. Looking forward to seeing you all and Matt and I want to thank all of you who booked with us last season. Regards to all, Matt and Captain Earl. Fishing in Rhode Island begins in April and ends sometime in November. Watch for the birds working the water, the Striped Bass may be there!